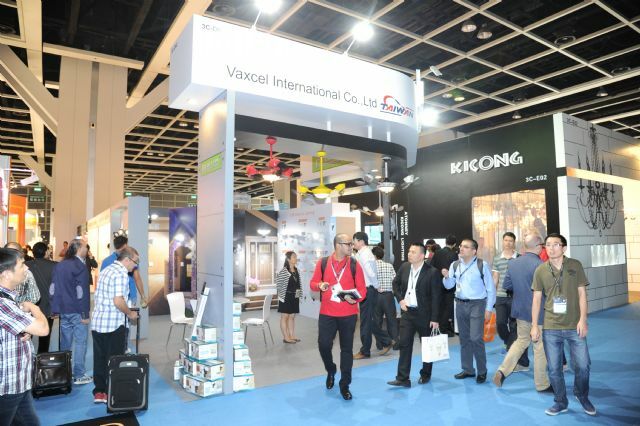 Attendees at the 2014 autumn Hong Kong International Lighting Fair were optimistic about business prospects in 2015. 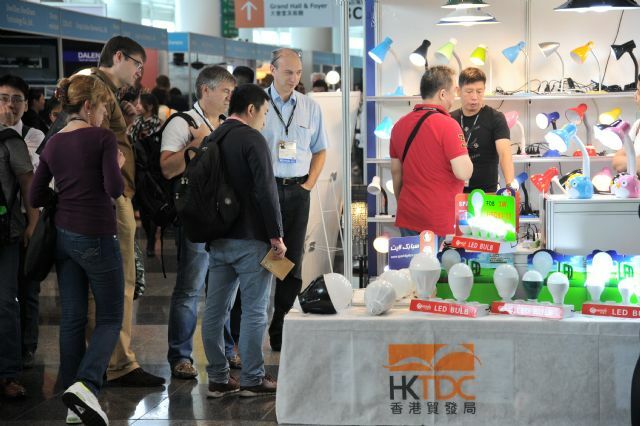 The 16th HKTDC Hong Kong International Lighting Fair (Autumn Edition), held on Oct. 27-30, 2014, ended up with attendees feeling optimistic about their business prospects for 2015. 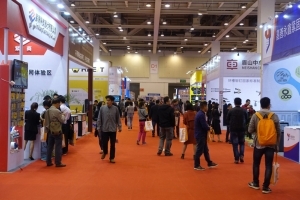 During the fair, the Hong Kong Trade Development Council (HKTDC), its organizer, surveyed 613 buyers and exhibitors on market prospects for next year. Over 90% of the respondents expressed the expectation that their overall sales would improve or remain about the same. HKTDC Deputy Executive Director Benjamin Chau said the overall business atmosphere at the fairgrounds was positive. 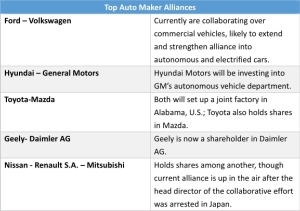 According to the results of the poll, the markets with the brightest growth prospects are mainland China, Western Europe, and North America. The survey also found that the industry is bullish about the market for LED lighting products, with buyers furiously searching for environmentally-friendly, energy-saving lighting products and smart lighting solutions. 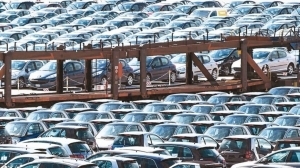 Nearly 37,000 buyers attended the 2014 show. 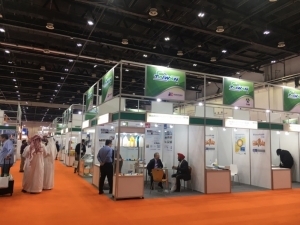 The four-day show drew a total of 36,952 buyers from 135 countries and regions to shop for products displayed by 2,492 exhibitors (including first-time exhibitors from Lithuania, Mexico, and Portugal) from 37 countries and regions, compared with 38,803 buyers and 2,454 exhibitors at the 2013 event. Although overall attendance was slightly lower than last year, buyers from Italy, the UK, the US, India, Mexico, and Turkey increased. 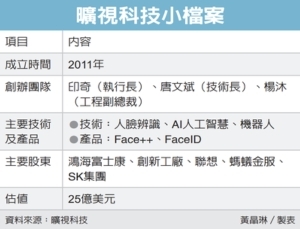 Among the exhibitors, 156 from Taiwan occupied 315 booths. They included ProLight Opto Technology Co., Lextar Electronics Inc., Tons Lighting Inc., Aeon Lighting Technology Inc., Home Resource Inc., Rise Lighting Co., HEP Tech Co., Nan Ya Photonics Inc., Yah Juang Lighting Technology Co., Edison Opto Corp., Ledlink Optics Inc., and V-Tech Lighting Corp.
Over 150 Taiwanese manufacturers exhibited striking lighting products at the show. 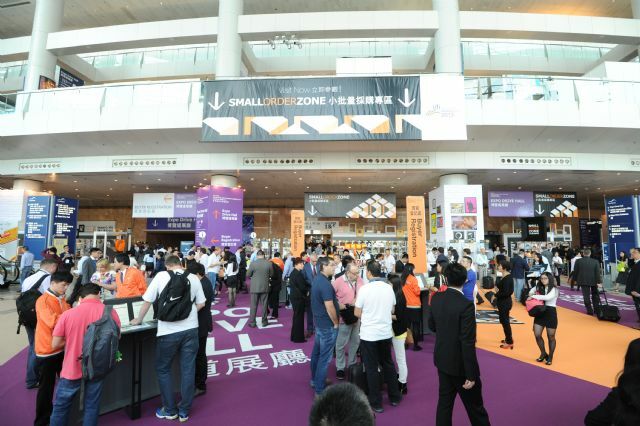 To maximize business opportunities for exhibitors, the HKTDC brought in 73 buying missions with nearly 5,900 representatives from 4,000 companies around the world. The companies represented included a number of prominent distributors from emerging markets, such as Evrosvet and the Light Time Group from Russia, Crompton Greaves Ltd. and Future Retail Pvt Ltd. from India, Adrilux Polska and IQ Led from Poland, and Al Abdul Karim Holding Co.from Saudi Arabia. 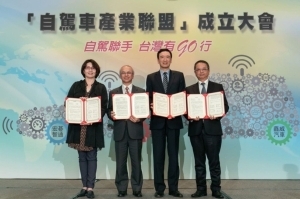 HKTDC brought in 73 buying missions from around the world for the event. Energy saving, smart control solutions, and innovation remained the dominant product themes at this year's autumn fair--the world's No. 2 lighting show, next only to the Light+Building trade show in Frankfurt, Germany. Energy saving, smart control solutions, and innovation remained the dominant product themes at this year's event. 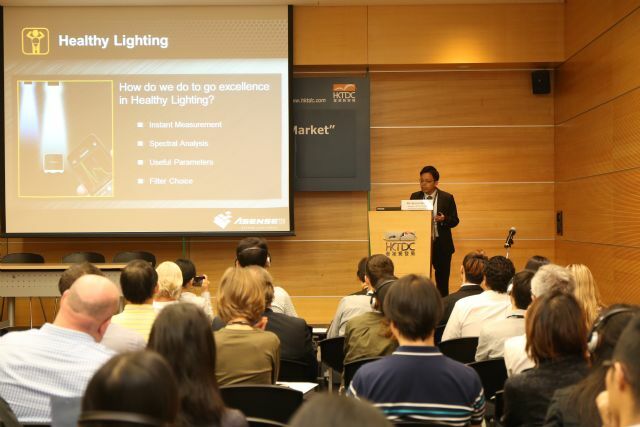 All products at the Hong Kong lighting fair this year were showcased in dedicated zones, including the Hall of Aurora, LED & Green Lighting, Advertising Lighting, Smart Lighting & Solutions, Small-Order Zone, Commercial Lighting Zone, Household Lighting Zone, Outdoor Lighting Zone, Testing, Certification & Inspection Zone, Lighting Parts & Components Zone, and Trade Service & Publication Zone. 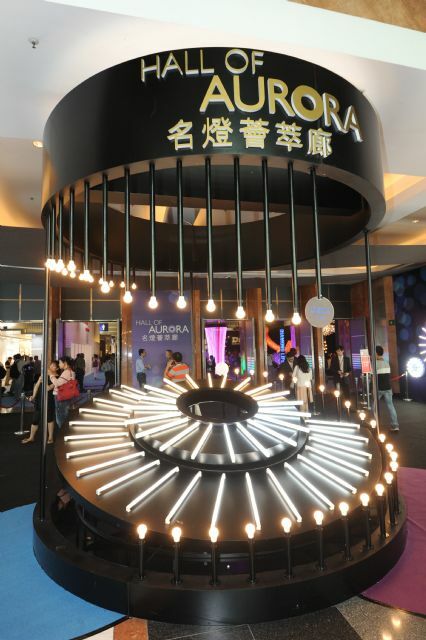 The Hall of Aurora, dedicated to exhibitors promoting high-quality own-brand products based on design, quality, and performance, hosted over 490 world-leading lighting brands including CREE, MEGAMAN, Neo-Neon, Panasonic, Philips, and Ford. The Hall of Aurora was dedicated to brand-name exhibitors. In the LED & Green Lighting Zone, more than 850 exhibitors displayed a variety of LED and other environmentally-friendly indoor and outdoor lighting products for residential and commercial use. 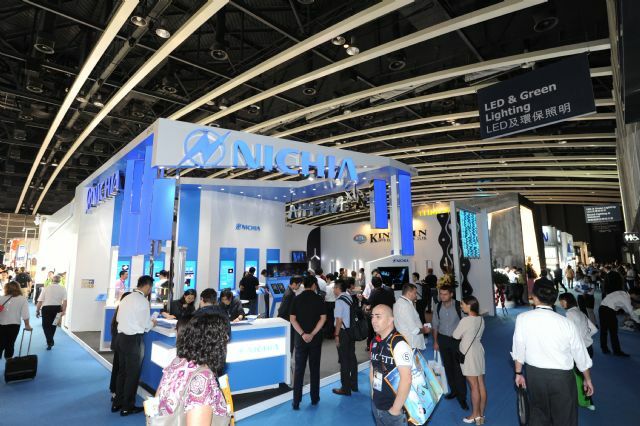 More than 850 exhibitors displayed their latest products in the LED & Green Lighting Zone. 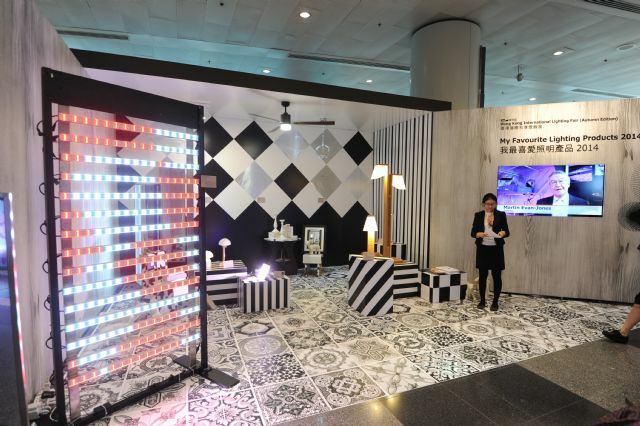 The Advertising Lighting Zone featured products such as display panels, light boxes, and neon signs, while the Smart Lighting & Solutions Zone showcased lighting design services and software as well as management system and control panel solutions. 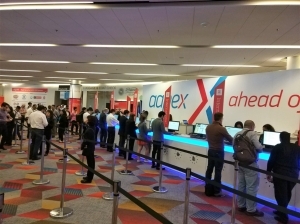 The Small-Order Zone, designed for buyers offering orders ranging in volume from five to 1,000 units, was outfitted with 160 showcases displaying more than 1,600 products. The Small-Order Zone was set up for buyers offering snall-volume orders. 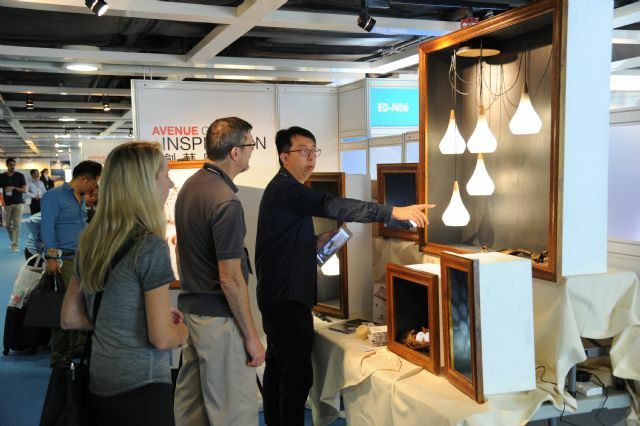 The Avenue of Inspiration was set up to provide young designers and startups having lighting design capabilities with a dedicated zone for promoting their products. The Avenue of Inspiration hosted young designers and startups with innovative ideas. 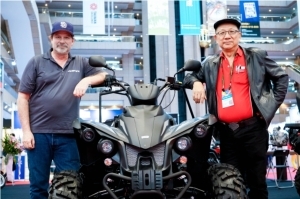 Exhibitors competed with each other in demonstrating their most striking products at the show. 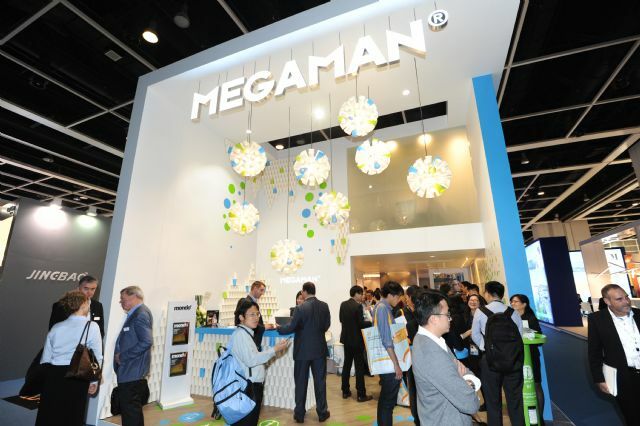 Neonlite Electronic & Lighting (HK) Ltd., for example, launched its Megaman INGENIUM smart lighting solutions, including the INGENIUM BLU and INGENIUM RF. The INGENIUM BLU is ideal for people looking for an affordable Bluetooth-enabled LED retrofit, offering effective wireless coverage over a 10-meter radius with functions including time pre-set and scene program setting. The INGENIUM RF is a scalable RF-based dimming solution meant for larger installations. These solutions are compatible with the latest MEGAMAN LED lamp technologies. Megaman exhibited a series of smart lighting solutions at the 2014 show. NanoGrid Ltd. of Hong Kong, a first-time exhibitor, showcased the Nanoleaf Bloom LED light bulb, the world's first bulb that dims without a dimmer switch. With a special dimming feature built in, its intensity can be adjusted using any regular household lighting switch. In addition, the bulb uses only 0.5 watts in night-light mode, which saves energy. 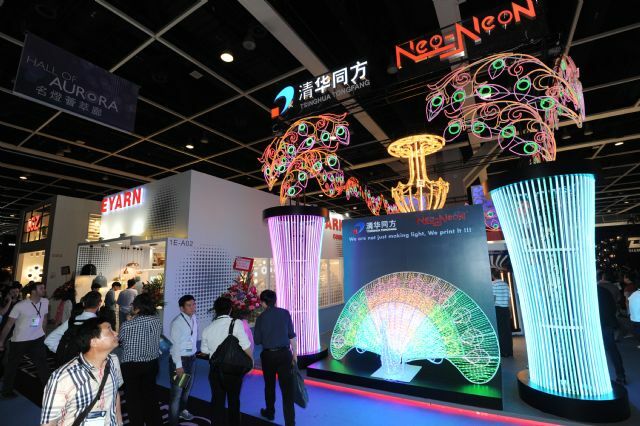 Tsinghua Tongfang Co. of China, which earlier this year acquired Taiwan's well-known Neo-Neon lighting brand, displayed products under its own brand name for the first time. Marketing manager Emma Chien said that the company attended the fair to show off its latest LED and festive lighting products. 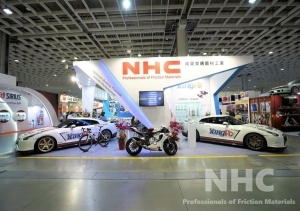 Tsinghua Tongfan displayed products under its own brand despite its acquisition of Taiwan's "Neo-Neon" brand. MRC Technology International Ltd. showcased its patented Bigfoot2 do-it-yourself light box system, which can cut energy consumption by 60-80% while boosting illumination quality with even light distribution. All of the materials used are recyclable and non-polluting. Super Trend Lighting Group Ltd. released a filament-type LED bulb with classic GLS, candle, and reflector shapes. The bulb gives off light close to that of an incandescent bulb and delivers Class A++ luminous efficacy. 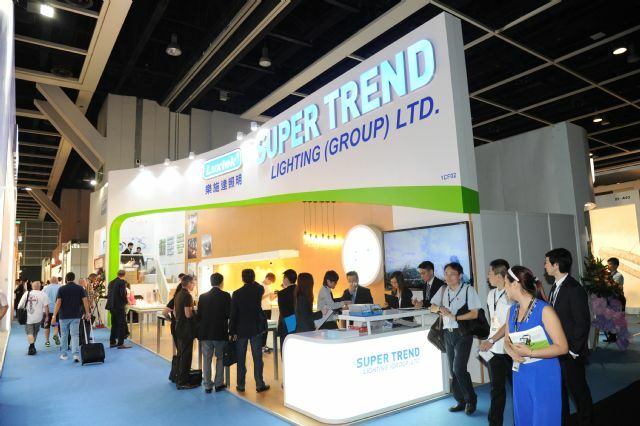 Super Trend released a series of interesting LED light bulbs at the show. This year, the My Favorite Lighting Products competition chose Aeon Lighting Technology Inc. (ALT) of Taiwan, CE Lighting Ltd. of Hong Kong, and Dongmyung Lighting Co. as winners in the architectural/commercial category; Champ-Ray Industrial Co., Dreambox Ltd. of Hong Kong, and Scoowa (Kristall) Co. of Hong Kong as winners in the decorative household lighting category; and Neon King Ltd. of Hong Kong as winner in the outdoor lighting category. The My Favorite Lighting Products competition chose seven winners this year. 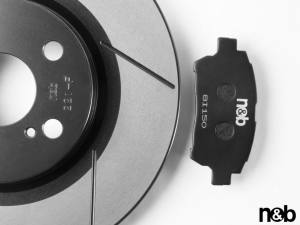 ALT's winning product is a series of square-shaped downlights codenamed "Uniqube," its square look making it unusual among the stereotypically round downlights. It uses a special optical lens coupled with a translucent frame and emits colorful light chosen by the user. When turned on, the fixture's main lamp gives off a bright illumination while diverting some glow to the frame to create a nebula effect. CE Lighting's wining product is the SEAlandTM 6W LED touch-dimming hotel desk lamp, which lights up instantly, operates at low voltage, and generates low heat and no ultraviolet light. Dongmyung won the prize for its 27W ABACO LED track lighting system, which has an aluminum die-cast structure integrated with polycarbonate material. The lighting fixture produces 2,400 lumens, with a CRI of 90 or 80. Cham-Ray was awarded for its CD52-LK series of DC LED ceiling fan lights, which deliver a 60% energy saving thanks to the direct current motors they use. The fan lights, which are remotely controlled, have six rotation speeds and reversible direction. Dreambox's winning product is the Zeta series of lighting fixtures, which feature a simple, natural look with a bamboo arm and glass lampshade. Scoowa was awarded for the romantic design of its "Moon Lovers" crystal light—a metal ring with LED lights installed on the top, a spinning crystal plate fixed on the bottom, and a pair of tiny lovers standing on the crystal plate. Neon King received the award for its iLED HBar LED module system, which is an alternative to a neon light. A slim symmetrical design and excellent color mixture allows the module to flexibly demonstrate complicated animations and generate glamorous visual effects. REWE Far East Ltd., the Hong Kong buying office of the German food retailer REWE Group, was at the show to source LED bulbs. 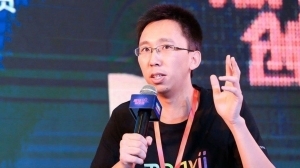 The company's division manager of electronics/lighting, John Li, said that three buyers had joined his company this year to source both products and new suppliers. Qi Long, GE Lighting's technology program manager in mainland China and a first-time visitor to the lighting fair, was looking for OEM partners and component suppliers. 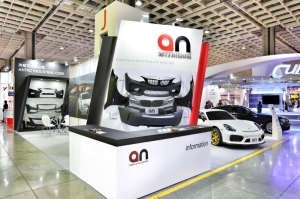 He reported that he had met around six potential OEM partners and over 10 potential component suppliers at the show. Ghanaian buyer Paul Amfo, general manager of Global Lighting Centre Ltd., said that he was particularly interested in high-quality products and new LED lighting designs. He added that he was impressed by the fair, during which he met many high-quality suppliers. 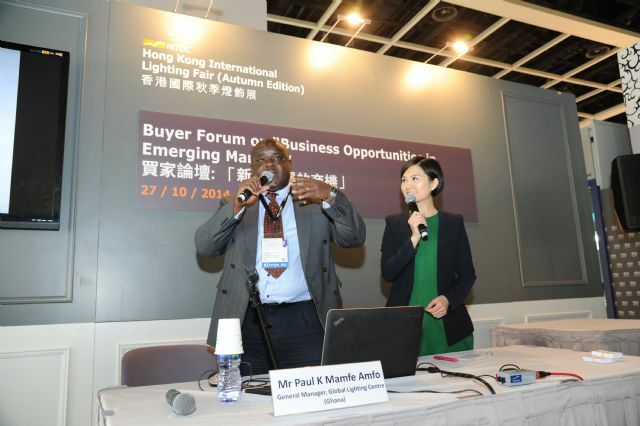 Ghanaian buyer Paul Amfo said he is particularly interested in high-quality products and new LED lighting designs. Industry executives shared their knowledge and experience at a variety of seminars on the sidelines of the show, addressing topics including prospects in the global lighting market, the latest development of LED lighting standards and requirements, Hong Kong's accredited testing and certification services, and trends in developed and emerging markets. Industry executives shared their knowledge and experience at a variety of seminars on the sidelines of the show.